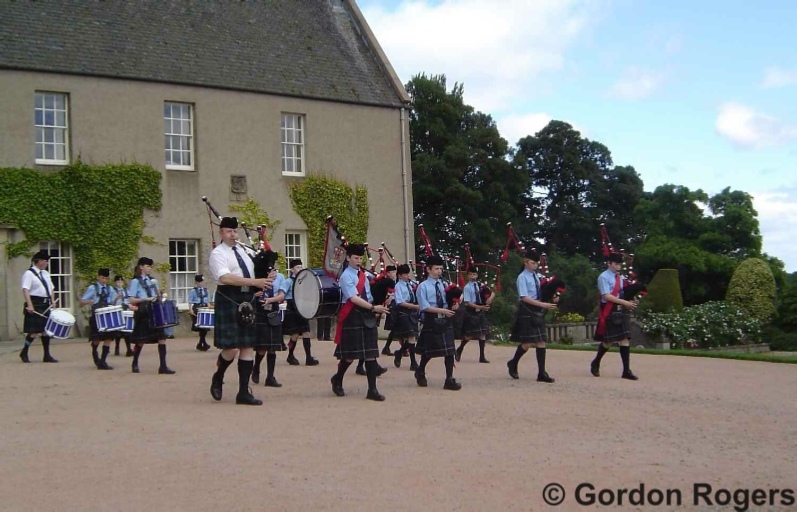 The school band had disappeared for a number of years but the arrival of new piping and drumming instructors meant that chanter and drum pad lessons got under way again. 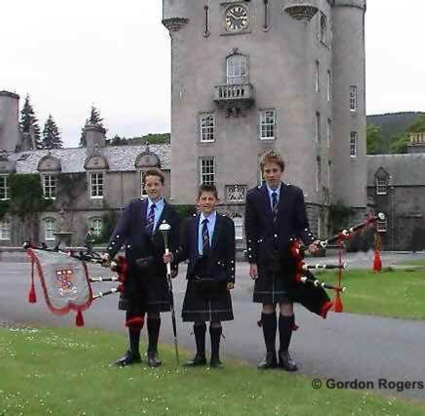 Here we have one of the first attempts at putting things together and two young pipers from Craigclowan School, Perth, came in to lend a hand and gain experience. 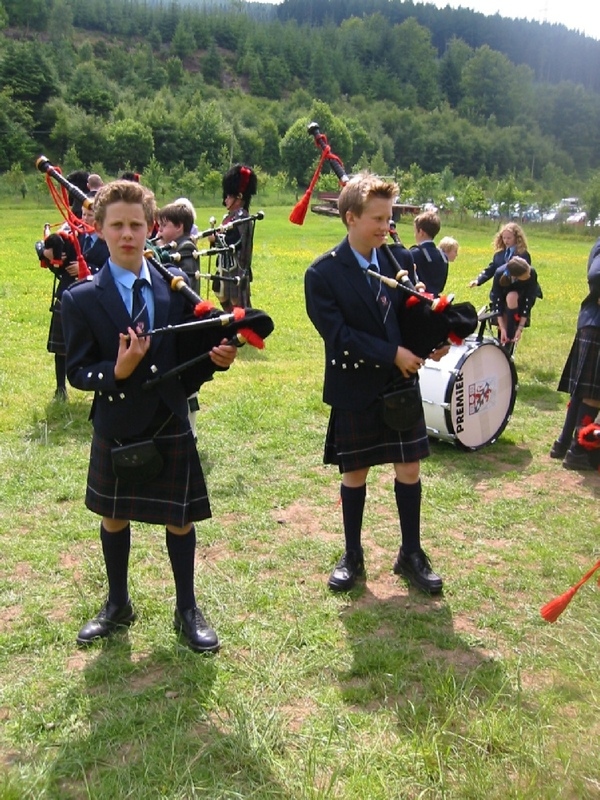 By the end of the day, they started to look the part. 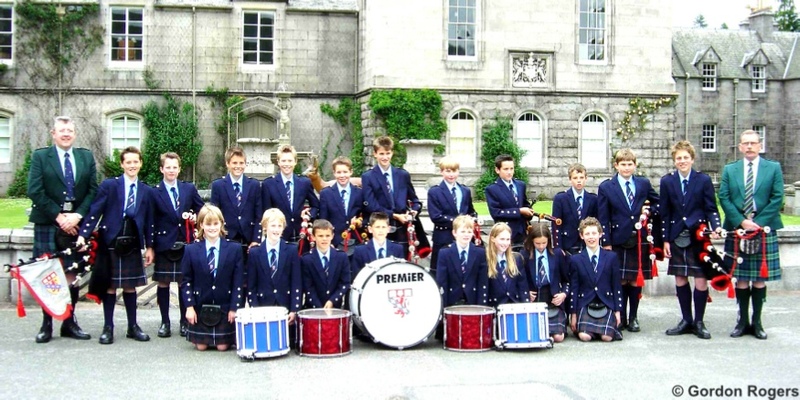 In this picture we see Finlay Hay, Harry Gow, Guthrie Brunton, Tom Elphinstone. 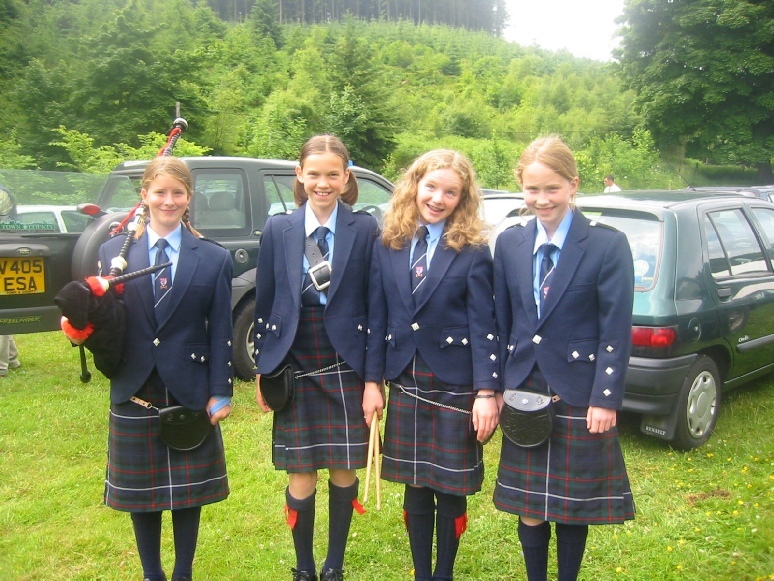 Can you name some others??? 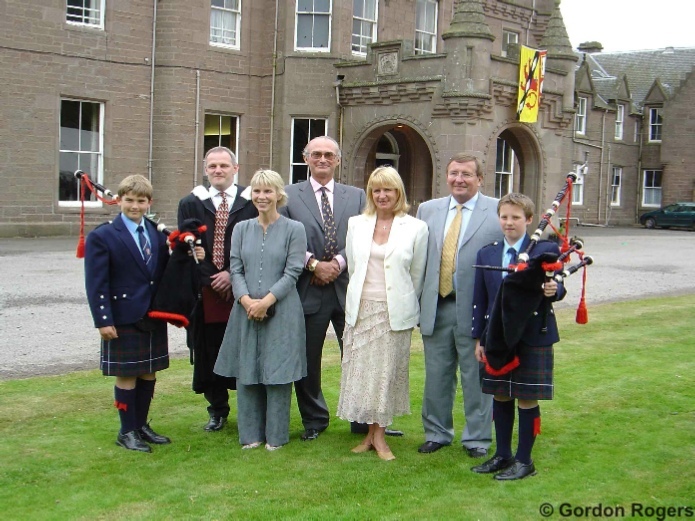 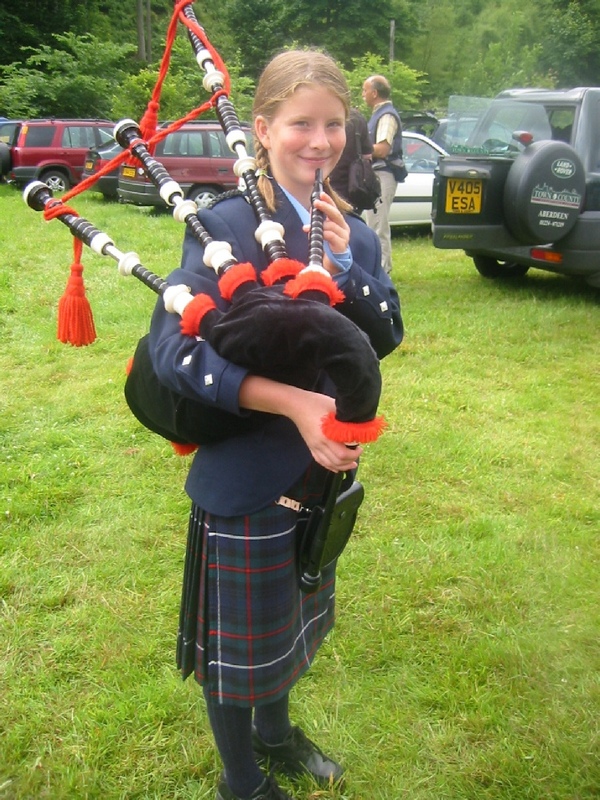 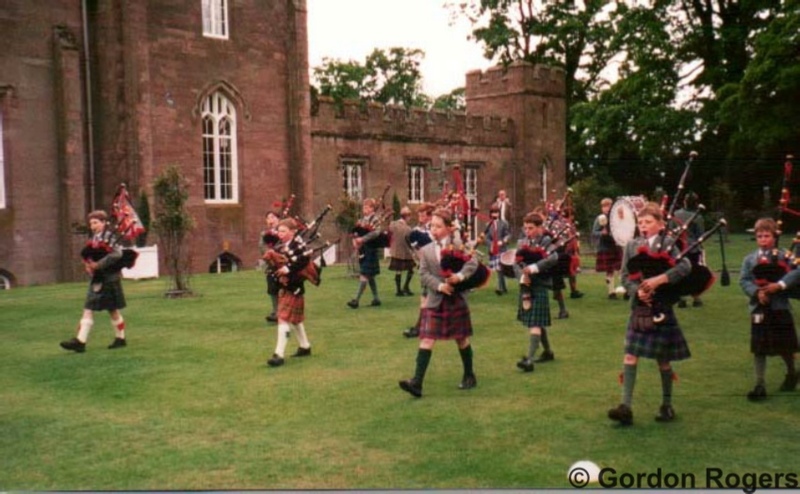 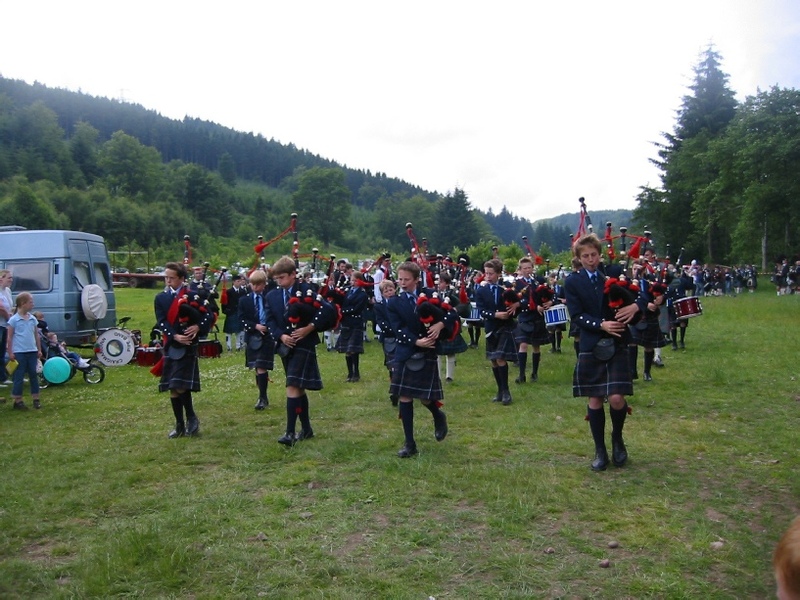 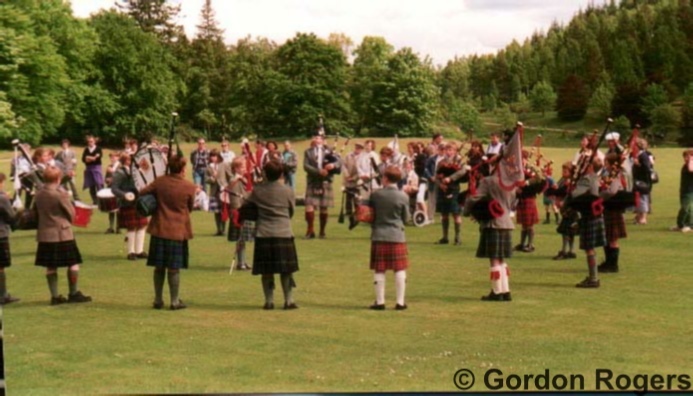 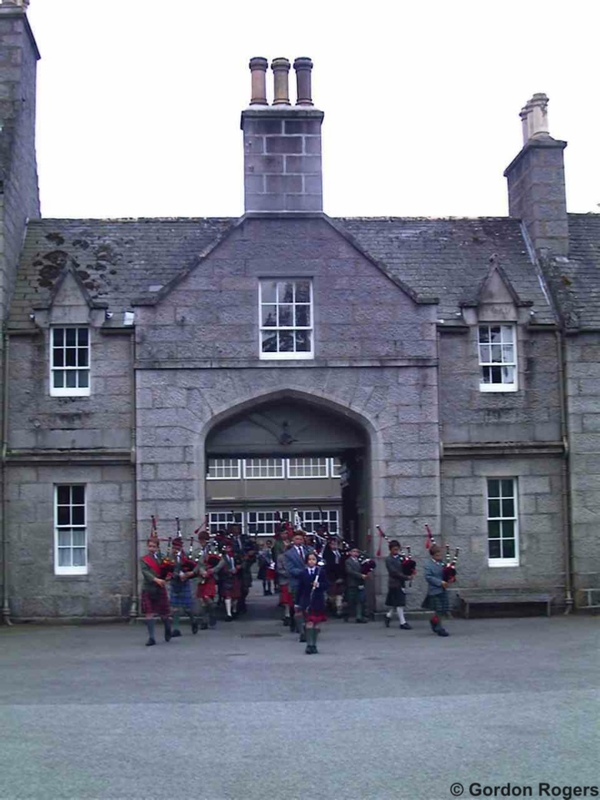 Undaunted, the children set off on a mini tour for the first time and were invited to play at Balmoral Castle. 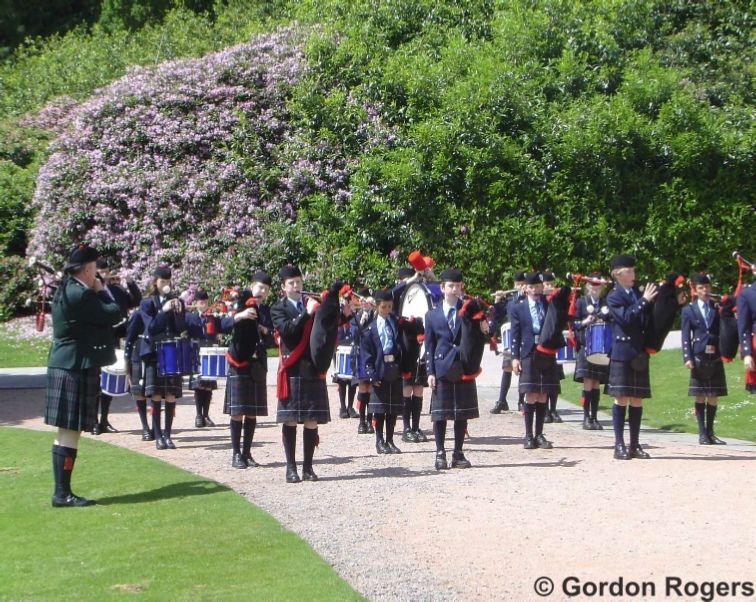 At Balmoral Castle, the parade starts off with the band emerging from the Castle onto the main square. 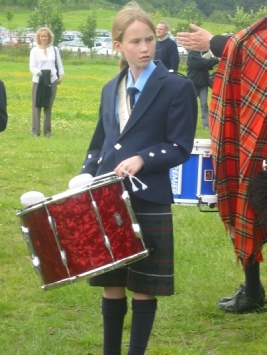 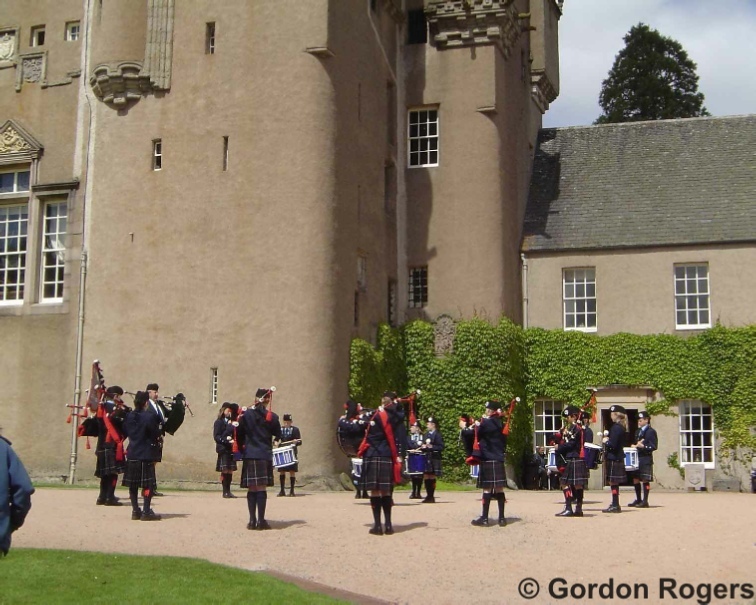 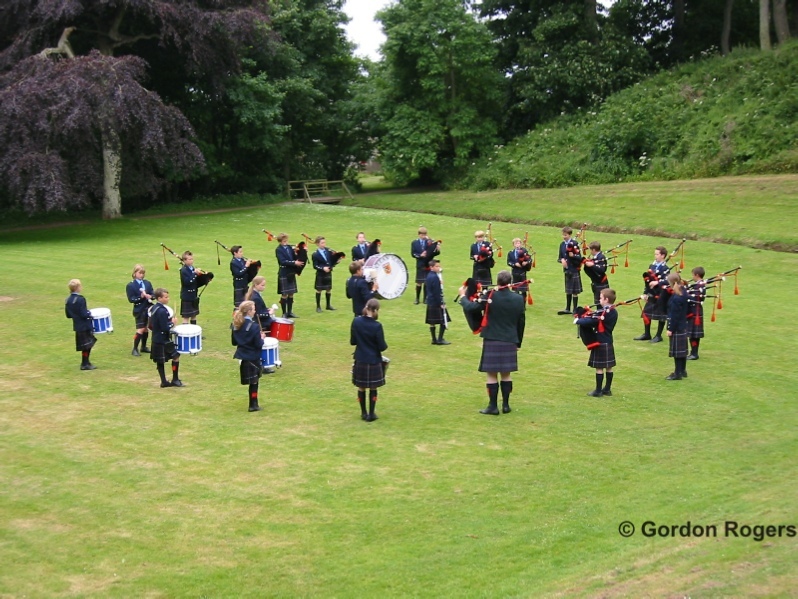 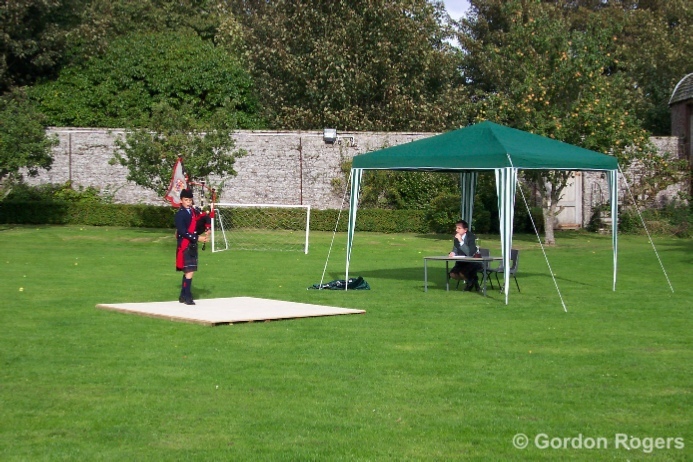 In this case the band has returned to the Castle one year on with Harry Gow as their Pipe Major. 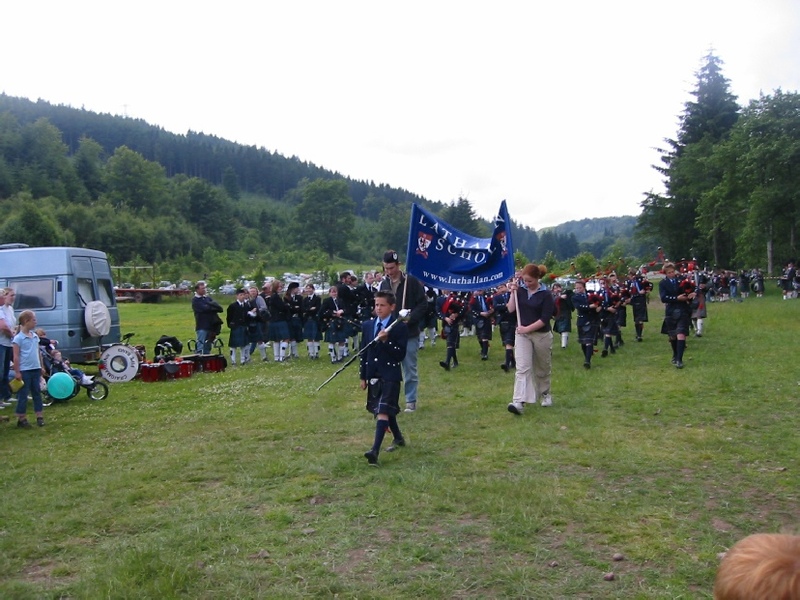 This was quite a day with 32 playing members in the parade. 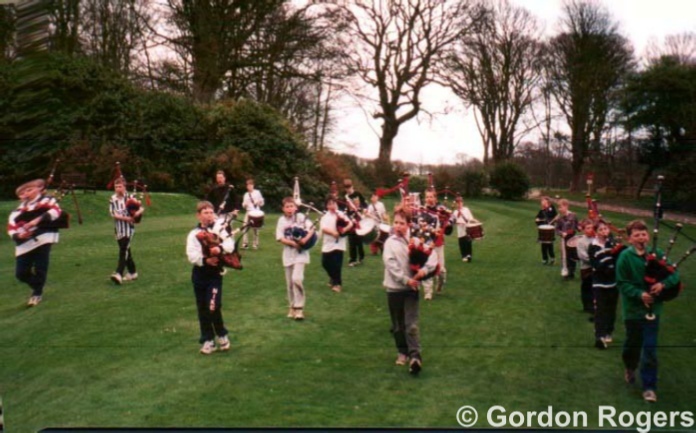 Quite out of the blue, an ex band drummer (second from the right) heard about the advances of his old band and very generously offered to buy the band uniforms and equipment. 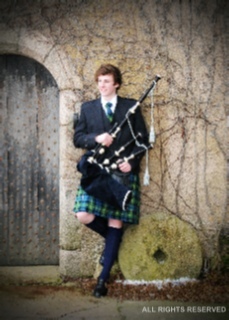 There are times when pipers dream of these offers.!! The School band are setting up before a school performance at Prize giving day.